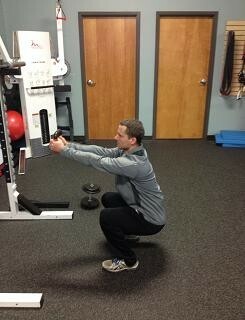 The squat is a fundamental movement pattern that we do on a daily basis. Sit down in your chair, stand back up and you just performed a squat. If you want to pick something up off the ground, you have two options: hinge at the hips or squat down. There’s no question that the full squat is an essential movement, and yet many folks in modern, industrialized society are unable to perform one. Kids have good squat form (just watch them at play), but their parents are stiff at the hips with rounded backs and tight knee joints. Its one of the assessments we use here at Precision Fitness, testing mobility and stability in the ankles up to the shoulders. You need to be mobile through the ankles, hips to get into a deep squat. I recommend people sitting in a deep squat a couple of times per day to improve the mobility and flexibility in the hips and ankles and undue the hours of sitting in a chair. 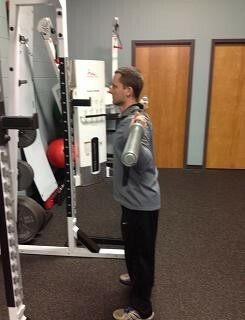 Use it as a tool to become more mobile, and then use it to build strength a power through the lower body. Nothing will build your legs like a strong squat, and strengthening the lower body is crucial in becoming a good athlete. Squatting will enable you to transfer more force from the ground up. This is beneficial whether you’re cycling up a hill, sprinting, or tackling an opponent. 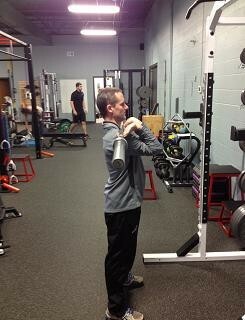 Counterbalance Squat- Creates core stability and reinforces an upright posture. 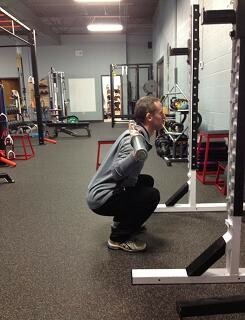 Great for people learning to squat, and a great exercise for people working on mobility daily. 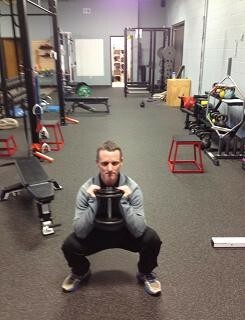 Goblet Squat- Use a Dumbbell or Kettlebell, think about sinking your elbows in between your inner thighs. Front Squat- This variation puts more stress on the quads and less stress on the spine while creating a demanding core stability challenge. 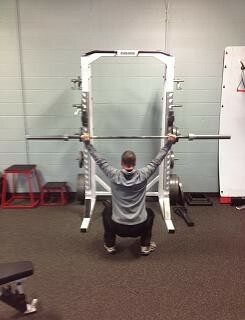 Back Squat- Depending on the bar position (high bar, low bar) makes the movement more hip dominant. 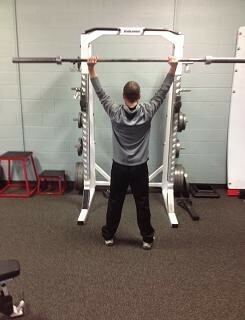 Overhead Squat- If you plan on doing any of the Olympic Lifts, the overhead squat should be in your program. This variation not only tests mobility of the ankles and hips but T-spine mobility and shoulder stability.